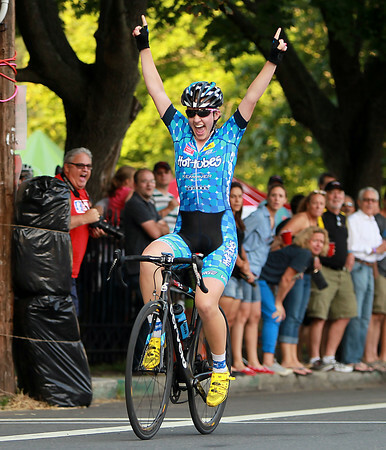 Seventeen-year-old Emma White, reigning Witches Cup champion raises her arms in celebration after she out sprinted the rest of the field along the last straightaway to capture the Witches Cup title for the second year in a row on Wednesday evening. DAVID LE/Staff photo. 8/6/14.